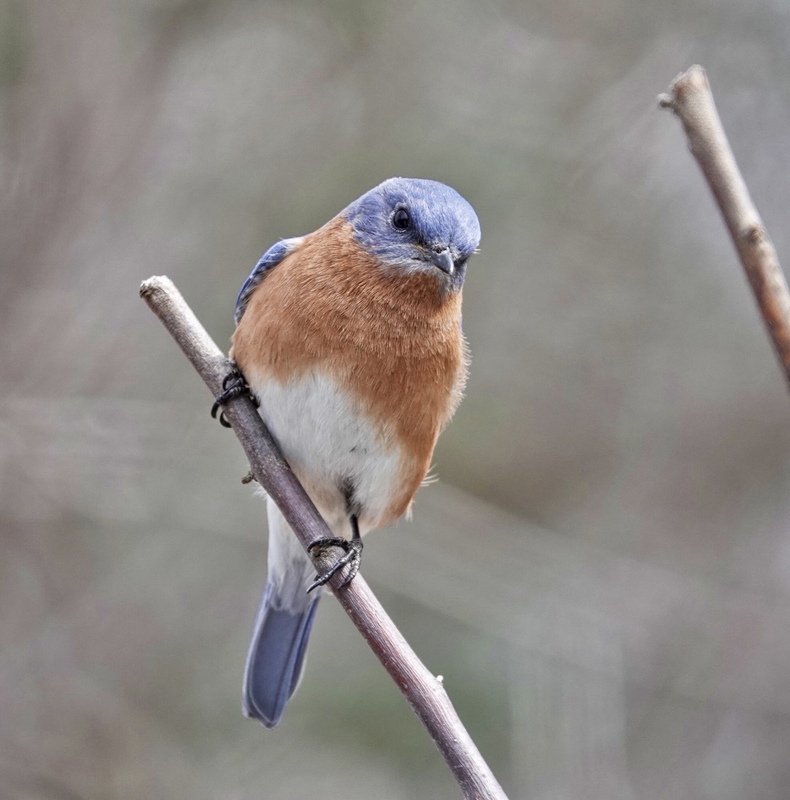 Here is another shot that demonstrates the Eastern Bluebird’s ability to project attitude, in a way that very few birds do. Something like “the intensity of his regard” as though he were a character in a Romance Novel or some other highly dramatic genre. I still think it must be a kind of accident based on the shape and coloration of the face of the bird, but it does not stop me from being entertained by the faces bluebirds seem to make and the postures they seem to take…entertained enough to repay me for all the meal worms I have invested over the past year keeping the bluebirds coming to our yard. Sony RX10iv at 600mm. Program mode set to Minimum Shutter Speed ISO at 1/500th. -.3EV. 1/500th @ ISO 250 @ f4. Processed in Polarr and Apple Photos.